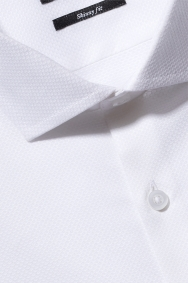 A classic white shirt with an on-trend look. Cut in a skinny fit, this shirt has a narrow shape that will sit close to your body. Stretch in the fabric helps the 98% cotton material retain its comfort by moving with you. There’s texture in the fabric for a sophisticated style accent. 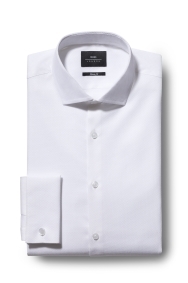 You can wear this shirt with any suit. Choose one in a skinny or slim fit for a head-to-toe sharp look.